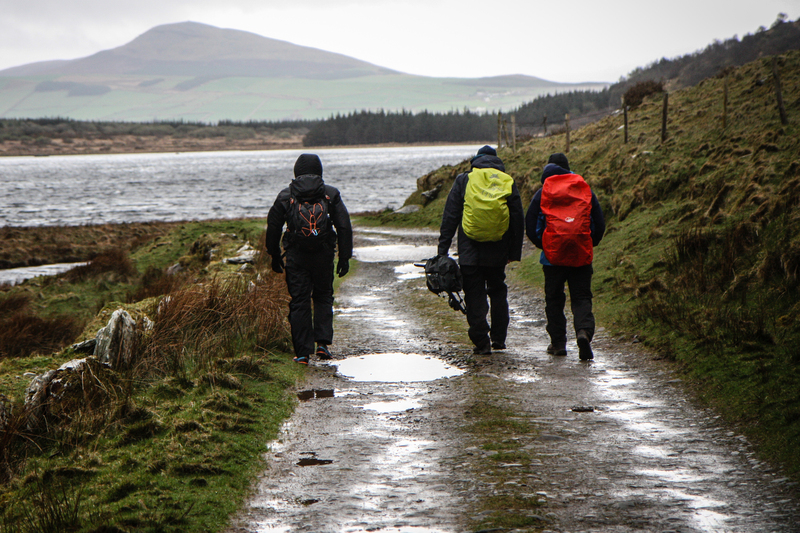 Inspired by Irish hero Tom Crean’s lifesaving solo trek of 50km in 18 hours across Antarctica, Cass MBA students recently undertook a Leadership Expedition on the Dingle Peninsula. Crean participated in three Antarctic Expeditions – the first two led by Sir Robert Falcon Scott and the third led by Sir Ernest Shackleton and with whom he eventually rescued his peers from Elephant Ireland. After his Polar adventures and discharged from the Royal Navy, Crean returned to his home in Dingle and opened a small pub – which he named The South Pole Inn. The 60 km Cass Leadership Expedition, zigzagging the Dingle Peninsula over three days and heading towards the South Pole (Inn) was organised by the Cass MBA Expeditionary Society, founded in 2017 after a successful pilot expedition to Mount Fansipan in IndoChina. The Society includes current MBA students, MBA alumni, Programme and Faculty colleagues who share a passion for stretch experiences for leadership development. It was led by Dr Rodrigo Jordan, Cass Honorary Visiting Professor of Experiential Learning and globally celebrated mountaineer. Dr Sionade Robinson, Associate Dean of MBA Programmes at Cass, said the expeditions gave students the opportunity to develop an “explorer’s mindset” – a unique feature central to the Cass student experience. Maggie Schroeder is a Full-time MBA student who took part in the expedition. She said the experience taught her to overcome challenges as part of a team and to push herself. Dr Jordan said: “Leadership is like learning to fly – you can spend a lot of time studying the instruments but eventually you have to take control of the plane” . Some of the students joined the expedition after completing the Lugnaquilla Challenge, a day long trek to the highest peak in Wicklow and completing the International Consultancy Week in Dublin where they worked on business strategy projects within a diverse range of industries including healthcare, artificial intelligence, fashion, banking, and real estate. The projects focused on designing solutions for business development issues in marketing, HR, finance or operations. Watch a trailer of the expedition below.